Call Me Fudge: Early Christmas Celebrations! We are getting into the Christmas spirit around here finally! On Monday, we bought a mini Christmas tree from Whole Foods (stringing popcorn will come later tonight) and yesterday Austin gave me my Christmas present. It had to come early this year because it consisted of tickets to see the Flyers when they came here to play the Washington Capitals. This very exciting gift also came with some Philadelphia apparel so I could show my loyalties! We had so much fun and although I would have liked the game to be closer, I'll take an easy win over a close loss any day. 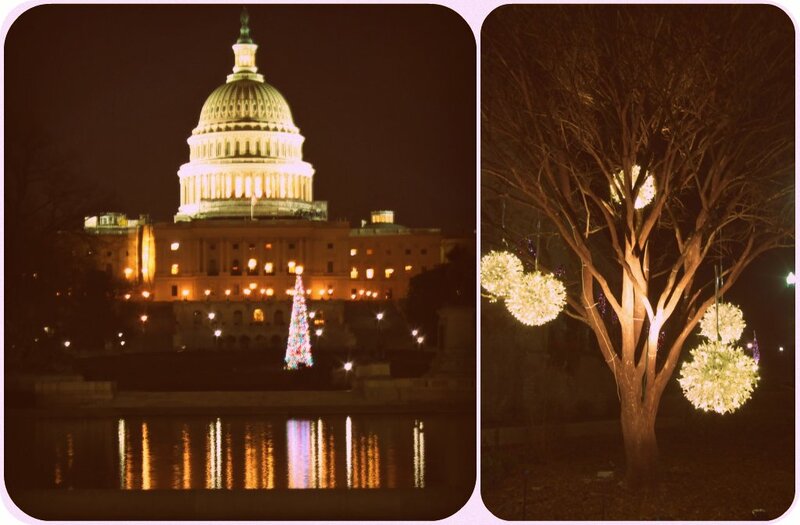 We walked back home from the Verizon Center (in Chinatown) past the capitol and the botanical gardens which are all lit up for the season!